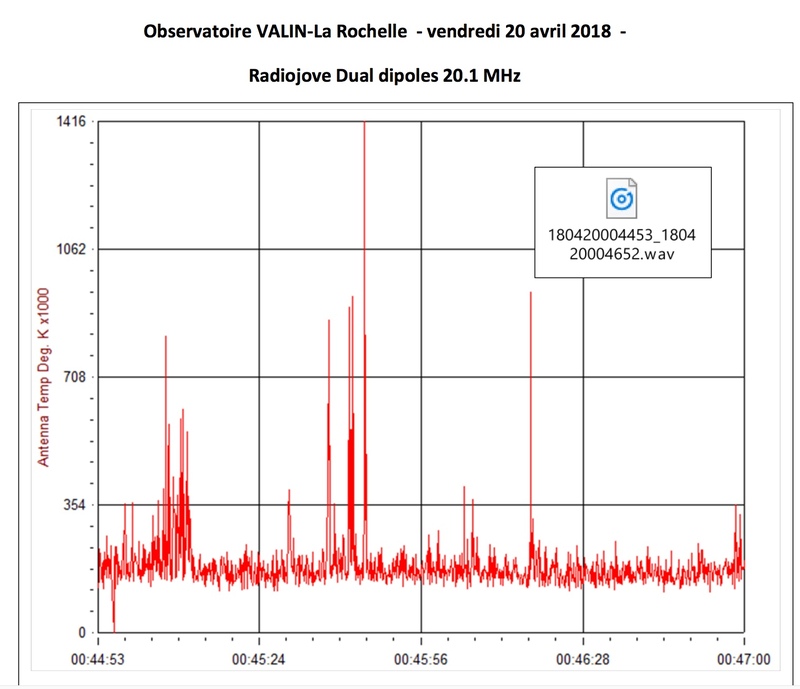 Denis Costa of the Lycée Valin in La Rochelle, France sent a report about recent successes with their Radio Jove observatory. As reported in the December 2016 Jove Bulletin, his students built a radio observatory on the campus of their school and were preparing for a trip to visit the Nancay Observatory. In 2018 April, Denis took a second group of students to Nancay and his observatory is now operational. He reports successful reception of solar radio bursts and a Jupiter Io-B radio storm. Congratulations ! Figure 1. 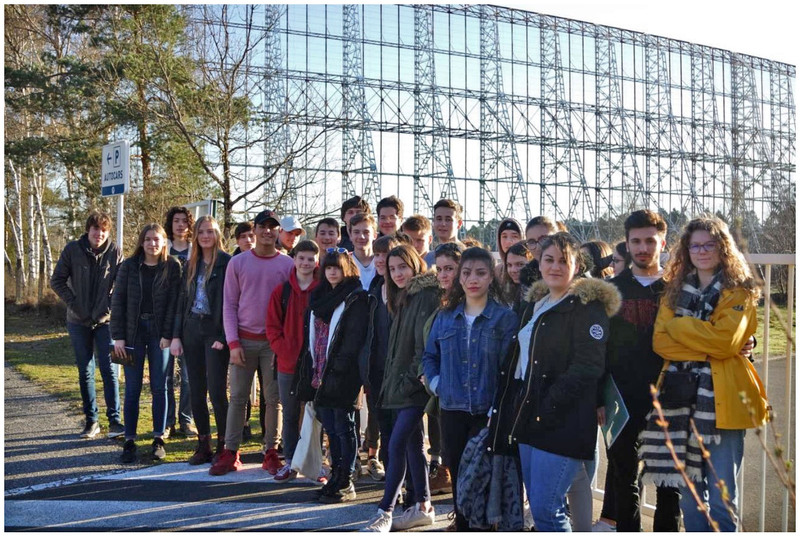 A group of students from the Lycée Valin on a tour of the Nancay Radio Observatory. Figure 2. 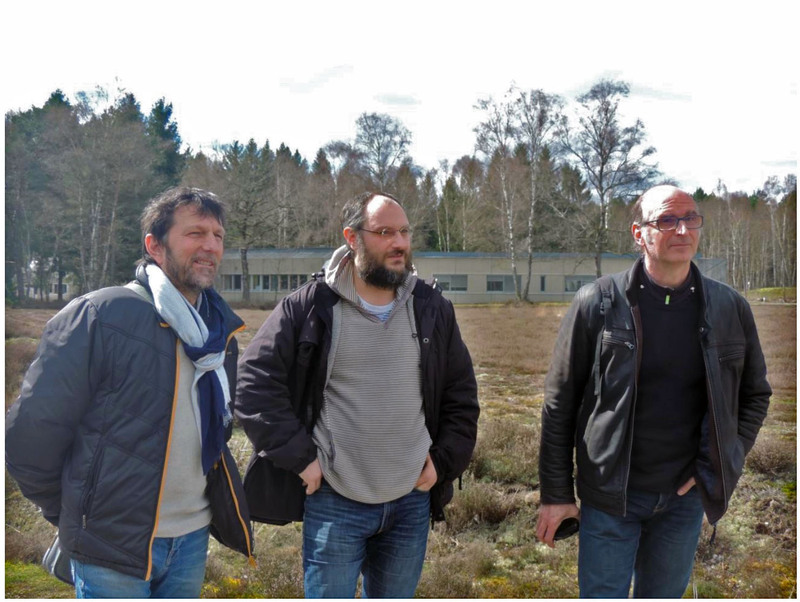 The tour of the observatory was led by Baptiste Cecconi (center) and two instructors from the Lycée Valin. Figure 3. Jupiter radio bursts observed at the Valin-La Rochelle observatory. Figure 4. Confirmation of the team’s Jupiter radio observations came from the Nancay Observatory radio spectrograms.